Sold by Wisedom and Fulfilled by Amazon. Gift-wrap available. 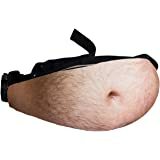 ●FUNNY GIFT-This waist pack is designed for funs.Its imitation of human’s belly will no doubt grab people’s attention and make them laugh the moment when they see it.It is the best gag gifts for Halloween,Anniversary party,Christmas party,White Elephant party or any day which is special to you. 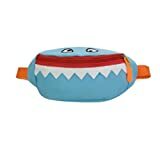 ●TOP QUALITY MATERIAL:this gag gift bag is made of durable PU material,which is anti-wrinkle and waterproof,and it shows vivid effect for 3D digital printing of bushy belly. 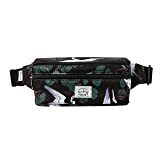 ●LARGE CAPACITY-this fanny pack is very spacious,with a small inner zipper pocket for keys,cards,money,phone or anything you like to secure inside. 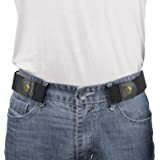 ●Adjustable belts to fit your waist:You can adjust the length of the straps on the dad bod fanny pack,to make it fit for your waist,not too tight,not to loose,just right! 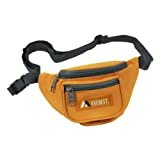 ●Money Back Guarantee:We guarantee full refund.If you are not satisfied with the quality of this fanny pack.Please contact our outstanding service team if you have any questions.We will give you the best solution in time. Sold by Wisedom and ships from Amazon Fulfillment. 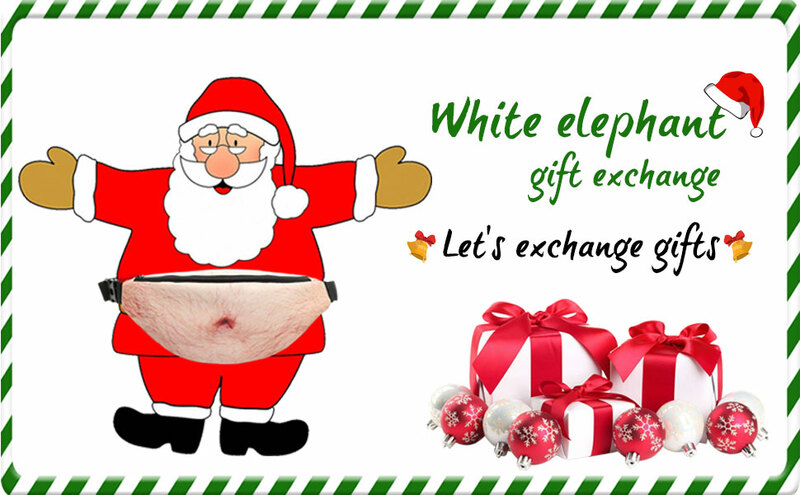 ●A funny gift, April Fool's Day,Halloween,Christmas Day,Birthdays and any parties like White Elephant Gift Exchange. ●You can use it in a party,outdoor,or any events or occasions.100% eyeball-catching!!! Let's exchange gifts!See whose is the most funny gag gift! A gift can make your friends laugh all day long! 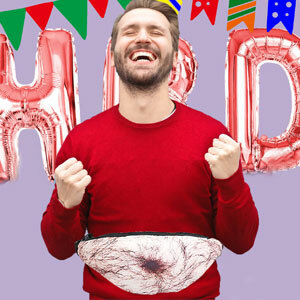 This belly Dad bag waist fanny pack brings a unexpected sense of humor to stressful occasions. 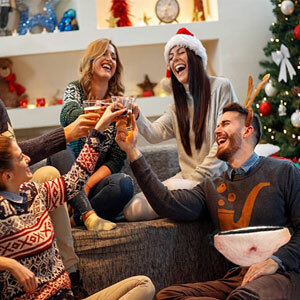 It is so hilarious that it creats an incredibly happiness to your friends and families.It is perfect for anyone who is going to attend their elephant gift exchange party,Christmas party or birthday party. Looking for something for prank or party? 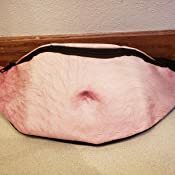 Bring this belly bag to add a special favor to your party or hangouts.You will make them all laughing out loud and happy along the way.A wonderful white elephant gift choice! A great gifts to father,grandfather or husband for getting a good laugh . 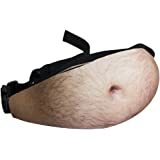 No wonder to see how surprising it is when they try it on their waists.Makes a treat for yourself and a great gift for him, Father’s day gift, birthday gift, anniversary gift, or any leisure occasions. 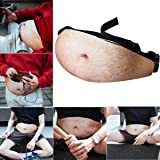 It's not only a gag gift but also a very practical waist pack for a person who loves sports or travel! You can carry it this lightweight dad bag when you are running,clibing,hiking,dog walking,bicycle riding and so on. 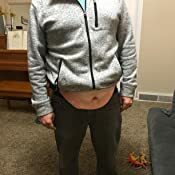 △PRINTING:3D print, Funny beer belly pattern. △WAIST RANGE:25- 48(Inch) , Adjustable Belt. 5.0 out of 5 starsHilarious gag gift! I got this as a gag gift for my friend because we saw someone with a fanny pack the other day at the store and she was excited because they are coming back in style. This made me laugh because who are we kidding...they really arent. 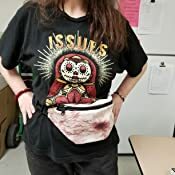 When I saw this funny belly waist pack I knew I had to get it for her! It is actually bigger than I expected but that makes it all that much better. It has an adjustable waist band and features two zipper pockets. The large one is on top to get into it and the smaller pocket is on the inside. It has enough room to store and pack all your goodies! 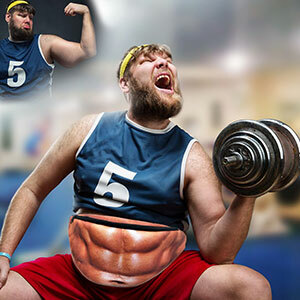 The comical feature of this is hilarious and worth it all just for that. It looks like a hairy man gut lol. It has the belly button and a tummy full of hair! It is priceless and I cant wait to see the look on her face! This will be the best gag gift ever! Talk about the perfect gag gift!! 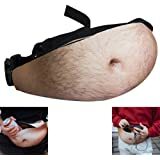 This Dad Bod Funny Belly Waist Pack is it! I wore it to work and got so many reactions. The states and giggles were priceless.People couldn't stop asking about it. 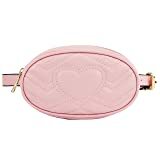 It has an thick adjustable strap to fit most sizes. 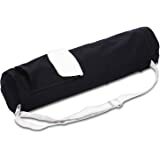 The fastening clip is well made.The pack itself is well made and can easily wiped down for cleaning.The outer zipper is easy to open and close. The pouch has enough room to hold my keys, phone and cigarettes. 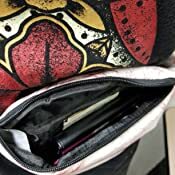 There is also a separate zipper compartment that is perfect for money or credit cards. 5.0 out of 5 starsHilarious and real looking! 5.0 out of 5 starsGreat gag gift! This is perfect for the person that I'm giving it to for a holiday gift this year. I can't wait to see the look on his face! Ha! Great invention! 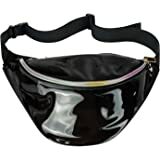 I bought this fanny pack because there is a male nurse at work who always wears a fanny pack and is a major prankster. I knew he would love it. He has already changed his VERY old one out for the one I gave him and wears it every day at work. It is a great conversation piece and it gives our patients a laugh during stressful times for them. The fanny pack is really big size. It has plenty of storage room and there is even a zipper inside too. The strap is very thick and durable so it can be used many times. 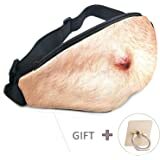 This product looks well made although the belly button is obviously off center instead of in the center like the picture, just a quality assurance error. That would be disappointing if I intended to actually use it, but since I got it for a white elephant exchange it will work. It also had a long, skinny black scuff mark that kind of looked like a pen mark but I was able to get most of it off. Overall it was what I expected and is functional. 5.0 out of 5 starsSuch a funny gift, scary realistic! Bought this for a white elephant and it was a HIT! Super funny gift, scary realistic, if you see it out of the corner of your eye or notice is quickly you will DEFINITELY do a double take! Hysterical, surprisingly well made, and looks great. Would recommend, very funny gift! 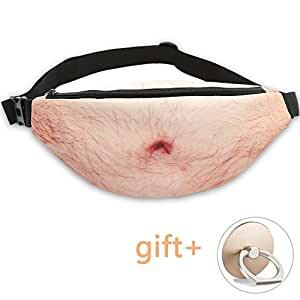 I got this as a gag Christmas gift for my mother in law who loves fanny packs and is in great shape. This will be sure to bring a laugh to everyone's face who sees this. 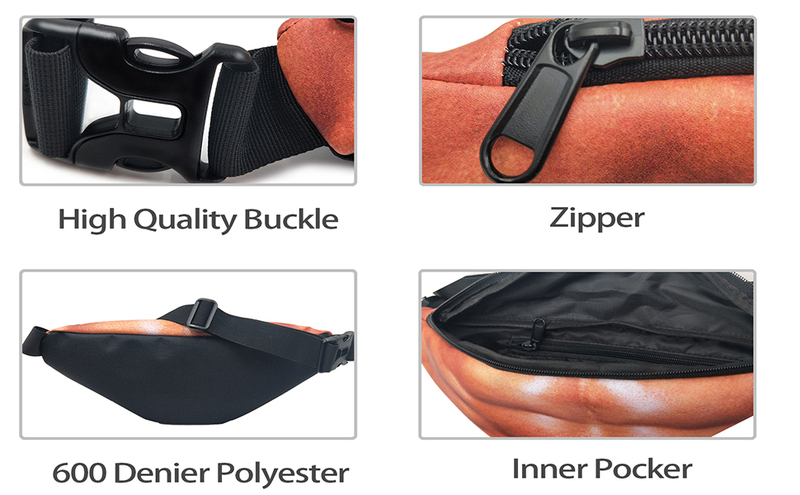 This fanny pack has a spacious compartment and decent zipper. The waist is adjustable and comfortable.